What type of occasions do you have a fancy for sweets? Most of these occasions may be on special anniversaries or when you may want to reward yourself for your achievements. Normally, delicious sweets, however, are always high in fat and high calorie. Although you want to celebrate, you cannot help feel guilty after eating these sweets. So as an alternative, we want to introduce the “Kall will store” in Niigata prefecture. 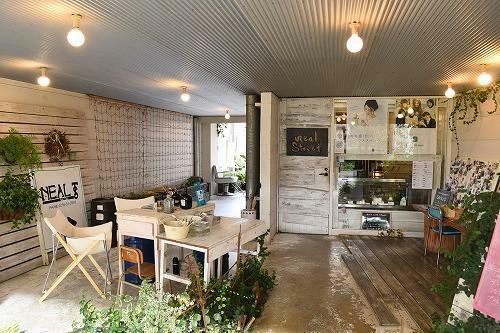 This is a unique specialty store which serves vegetable sweets in beautiful glass cups. These sweets do not contain any sugar and are also low calorie. As they use vegetables they are very nutritious and at the same time they look way cute! We visited the store to provide coverage for this new wave of healthy sweets. 2 No sugar and low calorie veggie sweets! 3 Who is the creator of such adorable sweets? 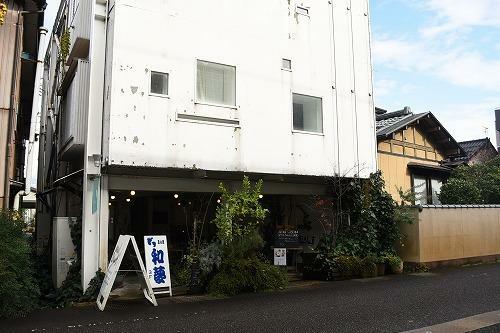 Sanjo city, Niigata prefecture is well known as a place for traditional crafts. And the “Kall will store” is situated on the first floor of the building for a beauty shop which is popular among young people. 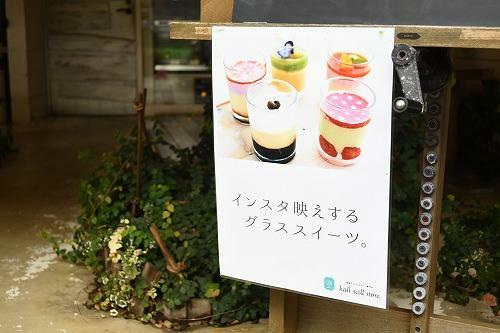 Above image: In front of the store, there is a poster saying, ”Instagram-genic sweets in glass cups”! We were so excited! The first floor of the building has a large open area with organic looks and the white wall contrasts with the green plants decorated throughout. There are tables and chairs and if you wish you can eat at the store as well as take-out. 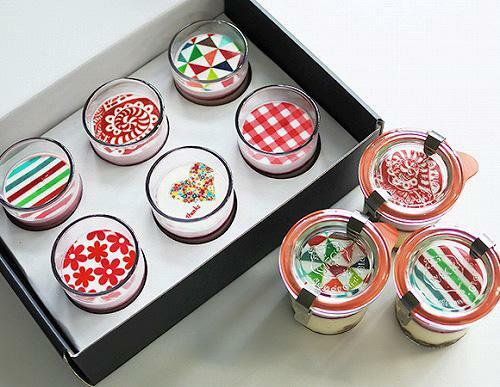 There are beautiful sweets in glass cups in the showcase. Normally there are about 6 or 7 different kinds of sweets on sale and some of them are limited editions dependent upon the seasons. No sugar and low calorie veggie sweets! 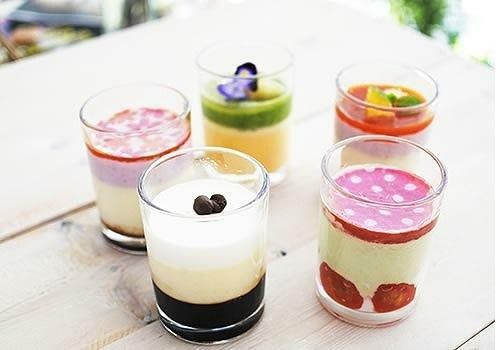 As above image, each sweet consists of layer of vegetable mousse, fruit jelly, and cake. They don’t have any sugar in their ingredients and therefore they are low in calories. As they use vegetables they are full of vitamins and fiber and are very nutritious. All of the sweets are gluten free which is great for people with a wheat allergy. 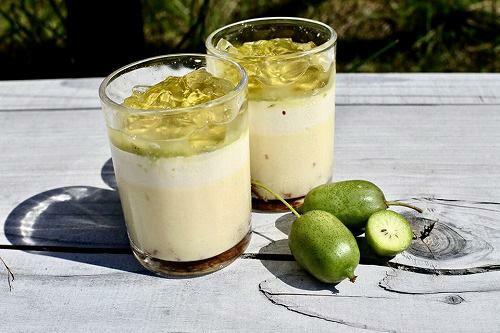 Normally their sweets include dairy products and eggs however upon request they have sweets without these ingredients to suits people with a macrobiotic or vegan diet. Their sweets look so colorful and each one has its own unique character. They are surely something you want to introduce via SNS! The above is a regular and is the favorite sweet “Jeana”, 450 yen. 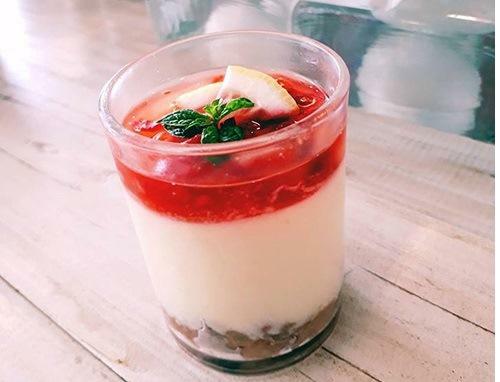 These layers were made of Gac jelly (a common fruit in Vietnam), purple sweet potato mousse, sweet potato mousse, and Okara cake (tofu by-product). The above beautiful sweet is “Aya”, 450 yen. Layers of strawberry and raspberry jelly, sweet potato mousse, and rice flour banana cake. This is a macrobiotic and vegan friendly item. Shitada area in Sanjo city is well known for growing Kokuwa (hardy kiwi fruit) and the above item “Fio”, 450 yen, is based on this fruit. 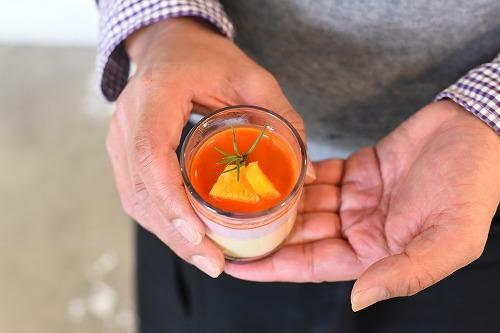 It has a brilliant combination of Kokuwa sauce, apple jelly, soy milk Panna cotta, and sweet potato mousse. 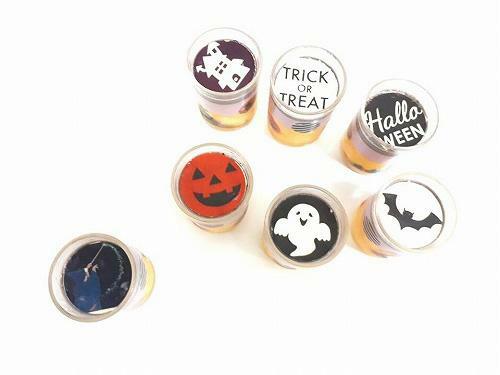 Other seasonal sweets are available such as the above Halloween specials with pumpkin or ghost illustrations. There is a made-to-order service and if you wish, you can order your own sweets with your favorite images, illustrations, or messages on. Who is the creator of such adorable sweets? I was expecting to meet a lovely lady who is creating such adorable sweets! I guess most people assume that. However unexpectedly, it was a cool guy who creates these sweets as well as being the owner of the store. 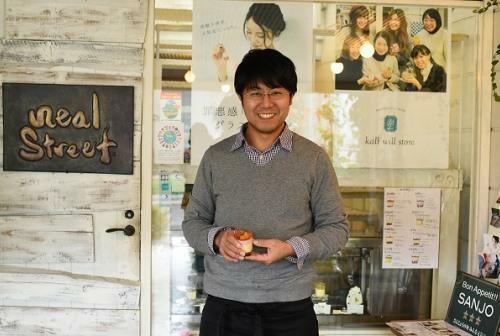 Above: Patissier/ owner Mr. Satoru Kimura. Before opening this store, he has unique working experiences such as being a chef at a Chinese restaurant and a construction worker. He says “when he decided to open the store he hadn’t heard of any other such store in Japan. 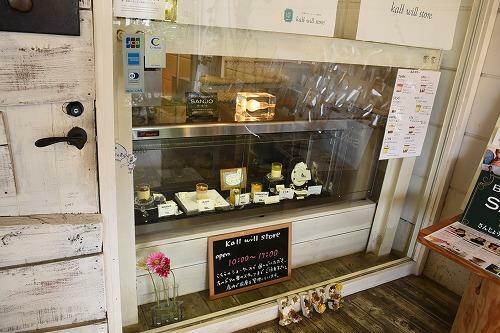 I thought it may be a very rare specialty store which has vegetable dessert-in-a-glass products. There are abundant farm products in Sanjo city. Especially the Shitada area which is situated between mountains, and this area produces excellent and delicious vegetables. Mr.Kimura is conscious of, if his sweets are “attractive to females or not”. Therefore, his designs have been made this in mind and are very attractive visually. With the thought of the natural colors and shapes of the food ingredients and of the balance when the different items are layered, he creates sweets which are very delicate and beautiful to look at. Not only the visual design, careful thought is put into their balance, texture and flavor. This is probably the secret of his sweets which have grabbed the hearts of many female customers. Mr. Kimura said he has some emotional connection with the names of his sweets. Each has a unique name such as Jeana, Chloe, Emma. What are the meanings he had in his mind? “Each item was named after a foreign girl’s name. I have associated each name with a character. He has already started talking with a Niigata-based illustrator about publishing the picture book. 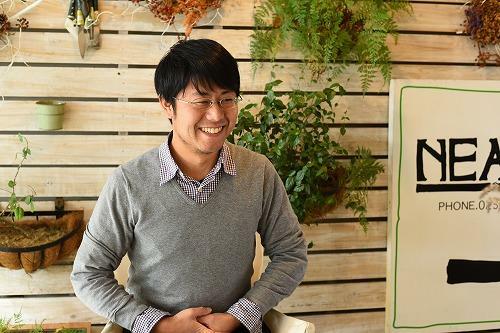 Mr. Kimura’s ideas go beyond just selling sweets to new challenges. There are abundant tasty and healthy sweets available out on the streets. But his vegetable sweet-in-a-glass is so unique and very photogenic. Please look forward to the forthcoming development at Kall will store!